I wasn't born with a silver spoon in my mouth (it was more like plastic), but I never had to wash one growing up either. It wasn't until I reached my teenage years that I begin to understand that I needed to help around the house. Don't get me wrong, there was a lot for me to do. I just thought that picking up my socks, straightening my Barbie dolls, rearranging the posters on my wall, and organizing my outfits for the school week qualified as "chores". Man was I wrong! I'm noticing that history has a funny way of repeating itself. My son has managed to escape having chores for quite some time. It's not that he doesn't have them, it's more so a problem of consistency. After ten years, we still haven't found a rhythm. I blame it on our hectic, on-the-go, lack of organization-ness! All I heard was, "I don't really care" and "I need to relax". Thanks goodness we were introduced to Goalforit.com. Now, I can easily create a chore chart for Kaden and the entire family. 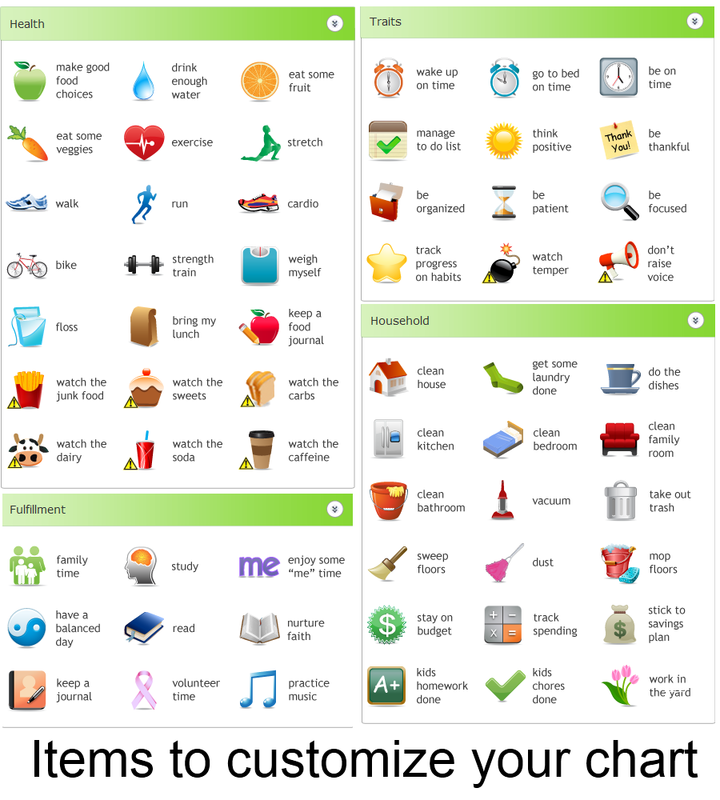 Responsibility; A Chore Chart is an ideal way to help your kids feel like they are making a contribution to their family by doing their part around the house. Healthy Habits; Teaching good habits involving nutrition and physical activity are the cornerstone of prevent obesity in children and adolescents. Money Matters; The optional point system teaches children three important lessons for managing money; earning, spending and saving. 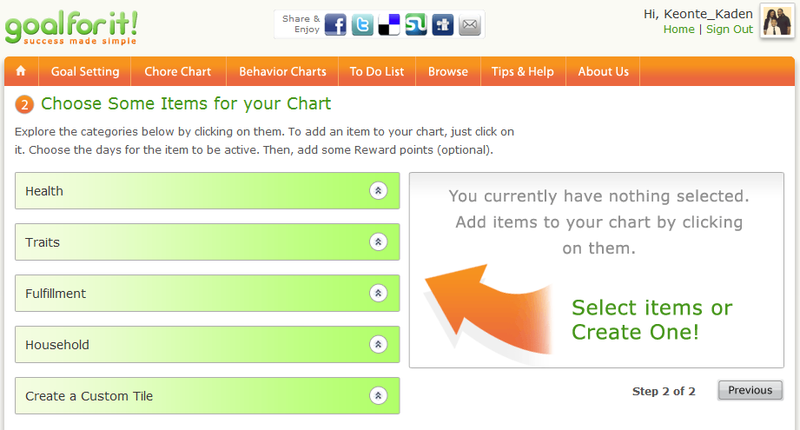 Step 2: choose items to add to your chart. 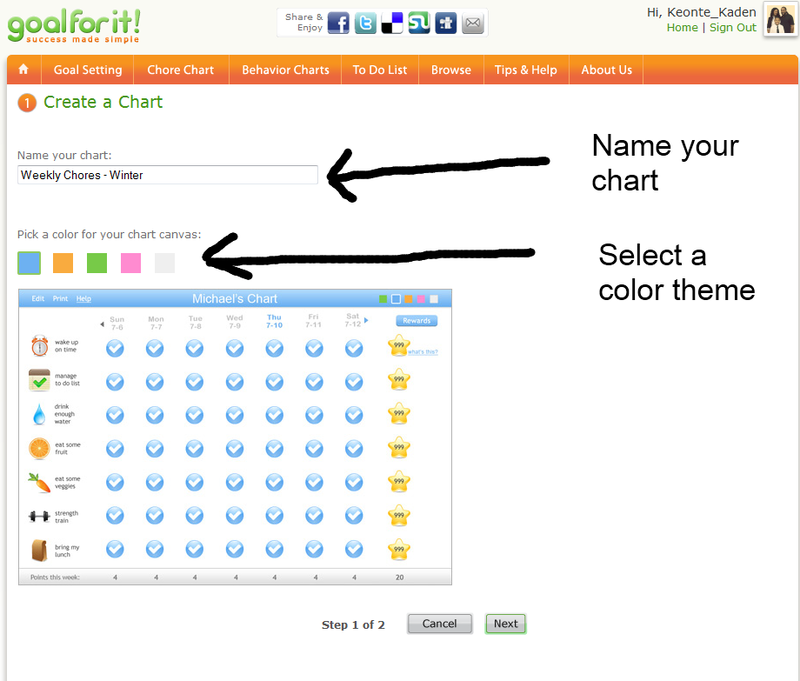 I can create a chart for different ages. There's an option for kids, tweens and teens. I can go back in the week if I forget to check off a chore. 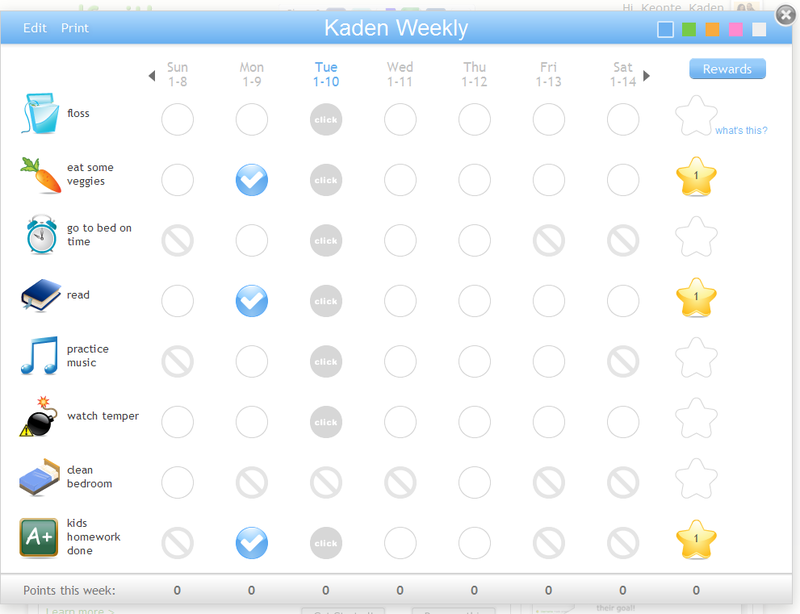 I can add points to particular chores to create a rewards system. 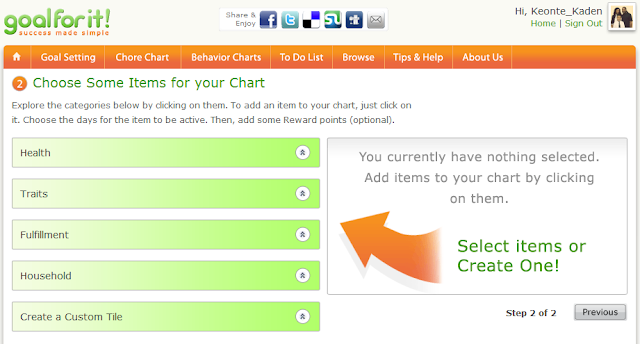 I can customize my own tasks to add. Goalforit would make a great app. A lot of families are on the go, so it would be nice to have a easy way to update a task if it just so happens to occur while the family is not at home. Maybe in the future the Goalforit.com site could work with brands and create an online store that would allow children to redeem their reward points. To take it a step further, schools could create an initiative where students keep track of academic goals this way. This would make a nice tool for teachers. 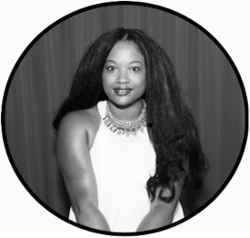 Goalforit has a lot of potential. The core of the idea is already a great one. The simplicity is refreshing. Anyone can go on the site and create a chart. We're definitely going to give this a shot! I was compensated for giving my insights about and reviewing the Goalforit.com site thanks to MomSelect. The opinions and views are my own.